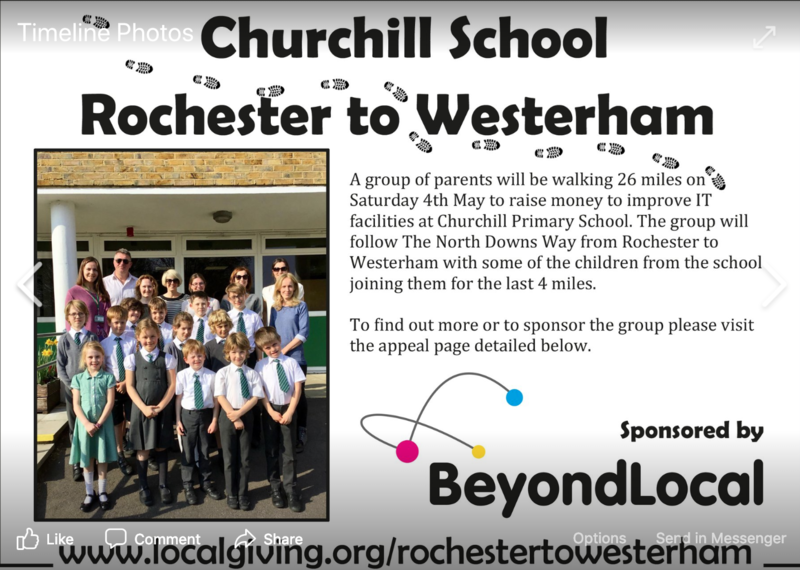 Saturday 4th May A group of parents from Churchill Primary School in Westerham will be trekking 26 miles from Rochester to Westerham to raise funds for the school. To find out more or to sponsor the group visit their appeal page: www.localgiving.org/rochestertowesterham or come and see them at the fair on Westerham Green on Monday 6th May where, assuming they can still walk, they will be running a raffle to boost funds. Last year the parents raised a fantastic £2,400 when they walked up Mount Snowdon. This year they have decided to take on a section of the North Downs Way walking from Rochester to Westerham. The rugged paths of the North Downs Way will provide plenty of challenges but also many rewards. The group will need a huge amount of stamina and determination to complete the 26 mile walk but they will be rewarded along the way with stunning views across the Kent countryside and beautiful woodland paths surrounded by bluebells. Many of the children from the school will join the group for the final 4 miles, hopefully giving them the extra boost they will need to make to Westerham. 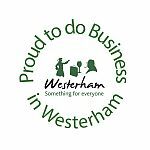 Thanks to generous sponsorship from Westerham based digital agency, Beyond Local, the campaign has got off to a fantastic start. Beyond Local Director, Mark Duerden and his family, will also be joining the group on the walk. All the money raised from the walk will be used to improve the IT facilities at Churchill Primary School.